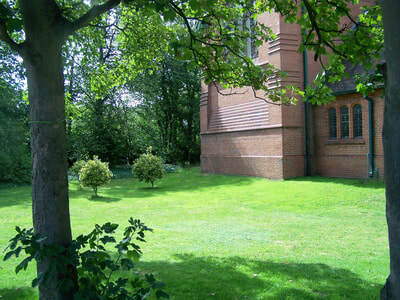 Church Grounds - St hildeburgh's parish church hoylake. The land now occupied by the church grounds was given to the local parish by Henry Edward John Stanley, third Baron Stanley of Alderley, in the 1890’s, for the express purpose of the construction of a new church for Hoylake. 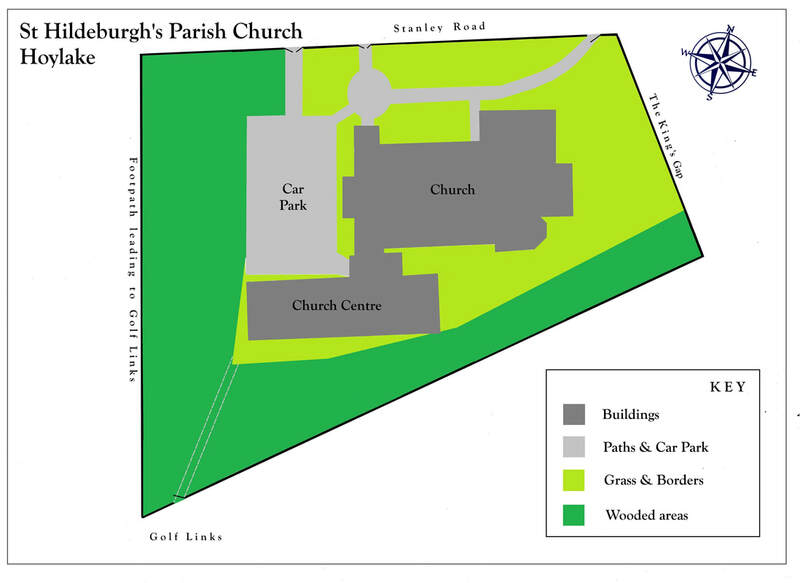 Before the construction of the church, this area of land was referred to locally as “The Green” – although it was private and not common land. 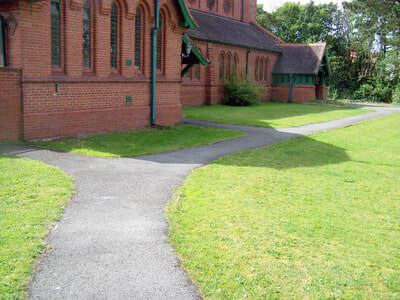 The church grounds encompass an area of 5,353 square metres or 0.535 hectares (57,614 square feet or 1.323 acres). 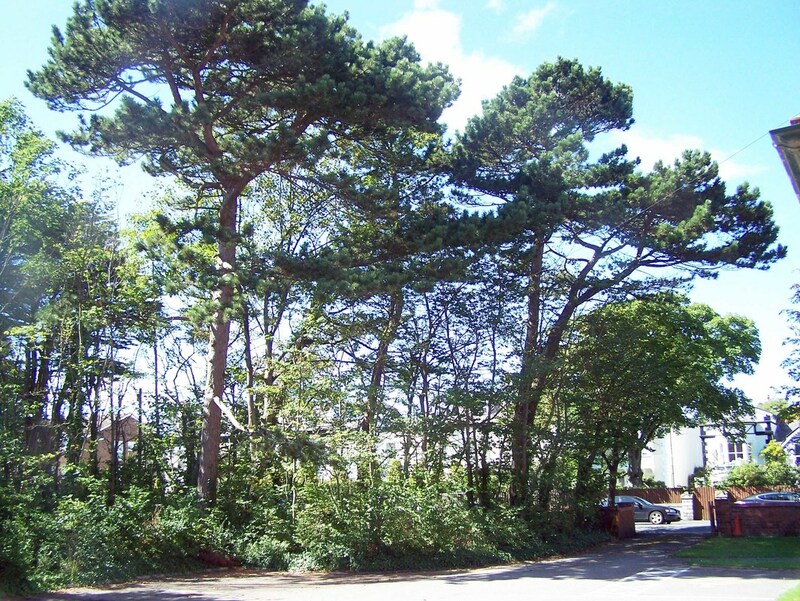 The grounds contain more than one hundred medium to large forest-type trees and many smaller specimens, mostly of deciduous varieties, but with some Scots Pines. The trees are concentrated on the southern and western sides of the grounds. 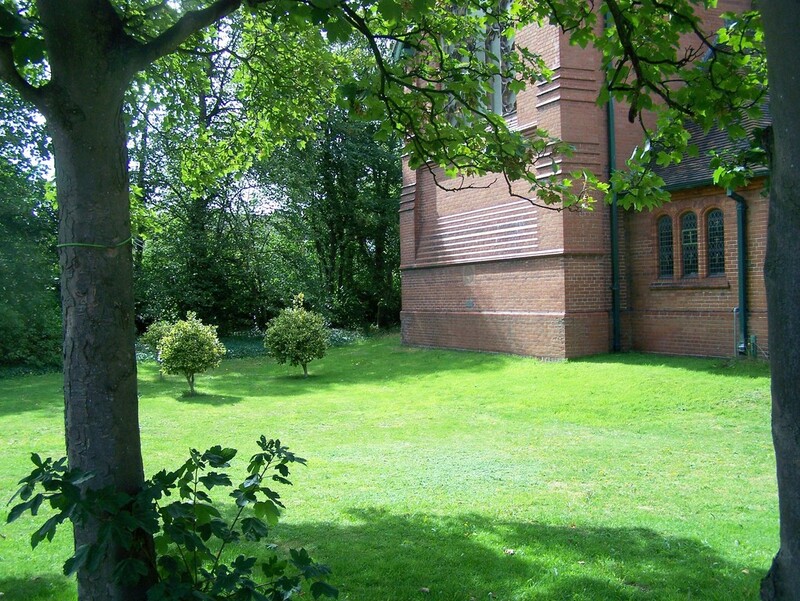 According to early maps and photographs, the oldest trees do not appear to have been planted before the construction of the church in the late 1890’s – these records indicate there may have been no trees at all on the land now encompassing the church grounds, prior to the church’s construction. 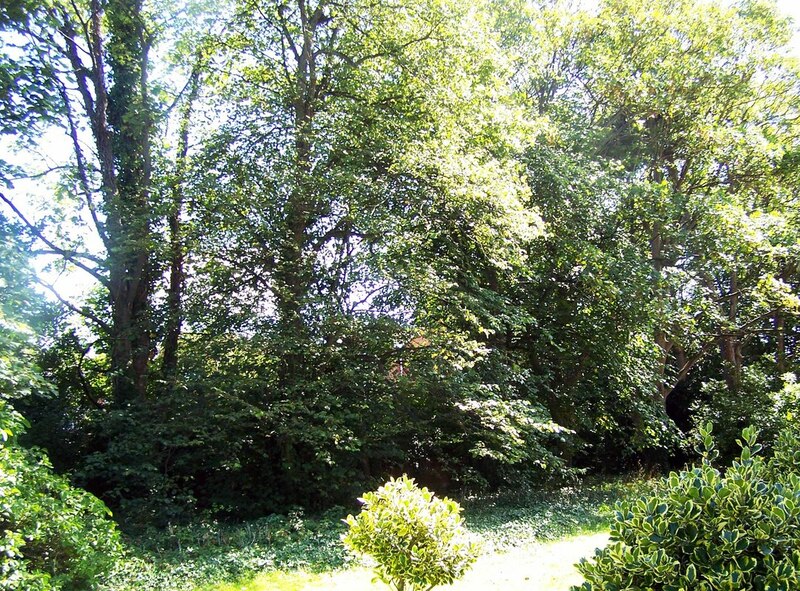 The grounds have been managed carefully since 1981, when two large poplar trees were blown down in a gale, alerting St Hildeburgh’s Parochial Church Council (the church’s elected decision making body) to the need for proper stewardship of the grounds. 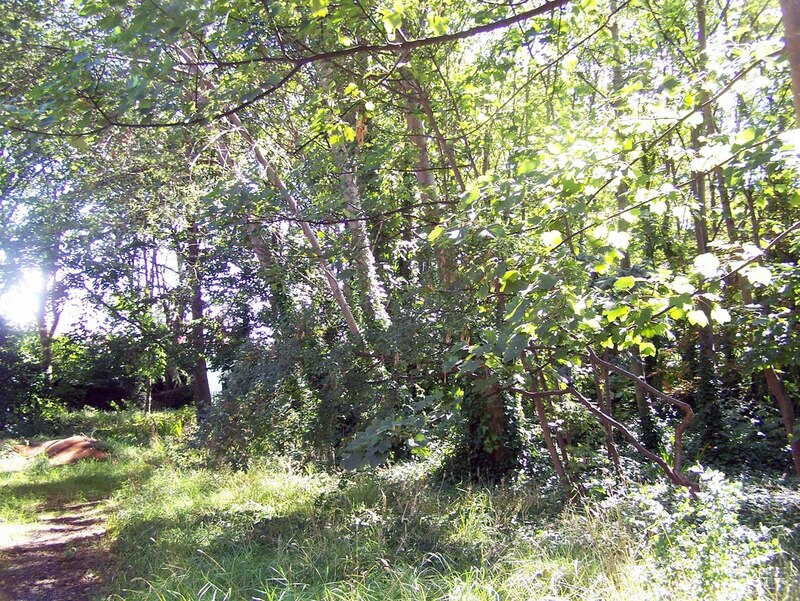 Several other poplars, as well as dangerous elms afflicted by Dutch elm disease, were removed over the next few years. 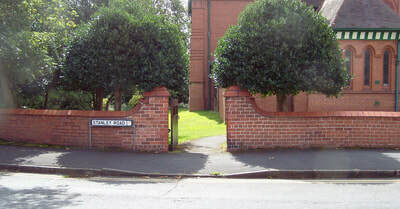 Following consultation with officers of Wirral Borough Council, a tree planting programme took place from 1983 to 1984, during which a considerable number of new trees were planted – the varieties selected were traditional British deciduous specimens. The grounds are maintained as a shelter belt, and to enhance the environment. Regular inspections are carried out. Dying or potentially dangerous trees and branches are removed promptly. Trees have been planted where appropriate. An annual working party is formed to prune shrubs and hedges, remove invasive coarse growth (brambles, nettles, ivy, etc. ), clear dead wood and do any other work indicated by the inspections.